I had such a blast with Ellie & Collin today running around Freeport, Maine. These cuties came all the way from Oklahoma for a trip home to celebrate with family, and I am so glad we were able to meet up. They were such troopers as we dashed from place to place, racing the sun and the cold in their classic Bean Boots and stylish pea coats. And I may or may not have scared the wits to of two ladies at this year's fabulous Northern Lights Display. Stay tuned for the rest of that crazy story, and the rest of our adventures in Freeport! 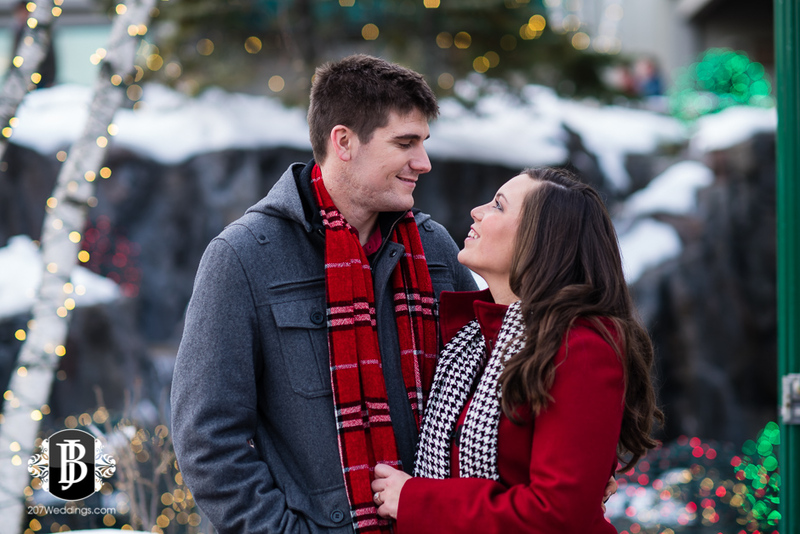 But I couldn't think of a more perfect backdrop for a wintry holiday-themed engagement session. Enjoy this sneak peek from today, and stay tuned for more photos and the full story on our shenanigans!